Skip to SSPC’s steel surface preparation standards. 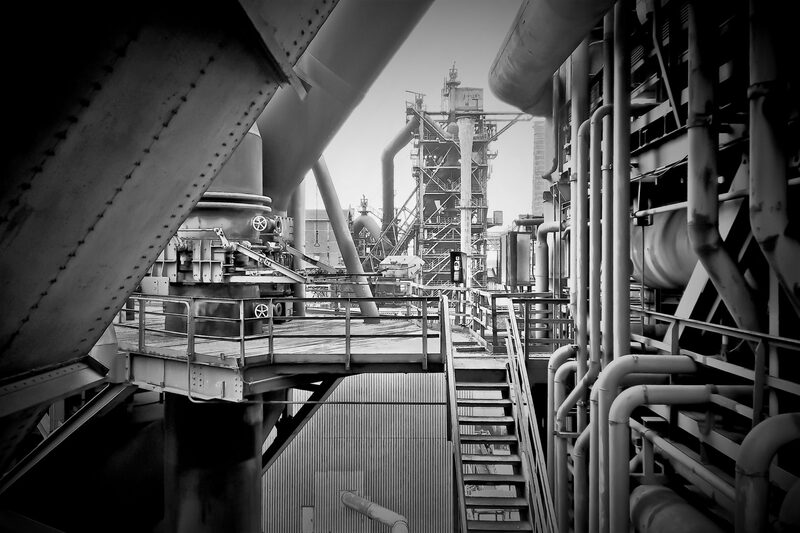 Steel surfaces need to be treated to prevent corrosion over the course of an asset’s lifetime. Surface preparation is the first step in this process. When defects are removed and the surface is properly cleaned, coating adhesion and performance improve. Steel surface preparation removes the physical defects and contaminants before coatings are applied. For steel structures and components this process usually involves pre-cleaning and some type of blasting or grinding. Different types of surface preparation are required for different scenarios and steel applications, so let’s get into the details of blasting. Abrasive blasting is one of the most fast and cost-effective methods of surface preparation available for large areas of steel. Abrasive blast cleaning is perfect for removing mill scale, rust, old paint and similar contaminants. However, abrasive blasting is not effective for removing oil, grease or chemicals. If you go down the abrasive blasting route, make sure to take care of these types of contaminants during pre-cleaning. Abrasive blasting can actually harm your asset if these contaminants are not dealt with properly. 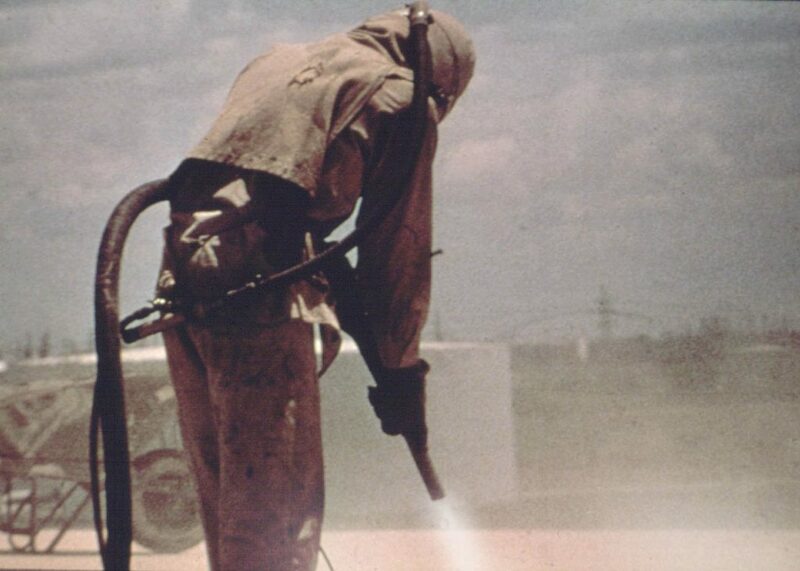 If there’s grease on your application during abrasive blasting, the grease will be spread to the entire application. Water cleaning can be used for both pre-cleaning and blasting. Low-pressure options are used for pre-cleaning to handle water-soluble contaminants, and high-pressure blasting and waterjetting are used for maintenance cleaning. Wet abrasive blasting is the preferable option to dry abrasive blasting when dust is a major concern. Wet abrasive blasting also has the option of adding abrasive material as needed. Wet abrasive blasting is a great option when a significant amount of coating needs to be removed. However, flash rust can occur with wet blasting due to the water used. Applying a rust preventer can mitigate this issue. Hand tool cleaning becomes necessary when parts of a job are inaccessible to power tools, i.e., small corners and crevices. Wire brushes, sandpaper, scrapers, abrasive pads, chisels and chipping hammers are all hand tools that help clear contaminants. 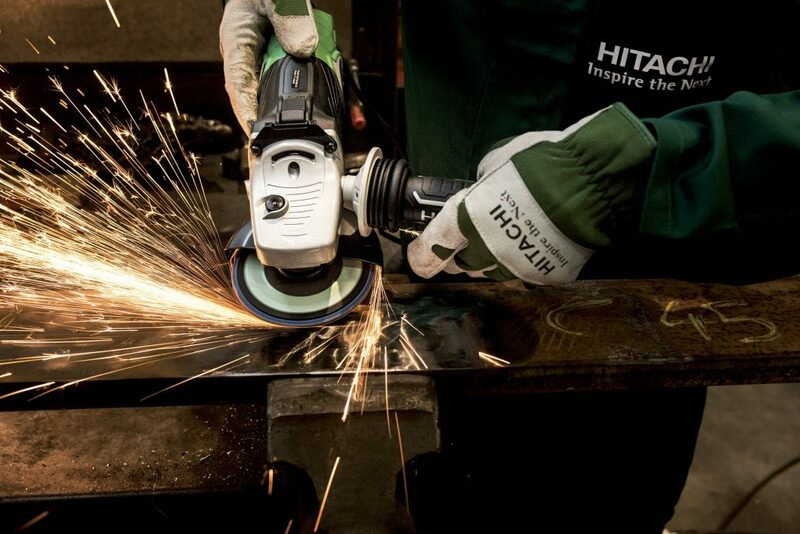 Impact cleaning tools use an internal piston to drive a hardened edge against surfaces. These tools scrape and chip away rust and paint. However, impact cleaning tools also run the risk of damaging and the metal surface and causing more work. Rotary cleaning tools consist of an abrasive material that spins on a disk at high velocity. These tools effectively clean surface quickly, but they also leave grease and oil behind, requiring solvent pre-cleaning. Rotary-impact cleaning tools utilize both impact and rotary methods of cleaning. These types of tools include rotary hammers, rotary flaps and cutter bundles. Surface preparation can take a variety of forms depending on the condition of the steel you’re trying to treat. Surface preparation and cleaning can involve dirt, soil, oil, grease, chemicals, mill scale, rust paint and myriad of other defects. Any combination of these defects can affect your asset, so it’s important to following a strict procedure to address each problem. Luckily, SSPC and NACE have set industry standards for surface preparation that are detailed below. The following table can be found in SSPC’s Good Painting Practice Volume 1, which is an excellent introduction to steel structure protection. SSPC-SP 1 Solvent Cleaning Removal of all visible oil, grease, dirt, soil, salts, and contaminants by cleaning with solvent, vapor, alkali, emulsion, or steam. SSPC-SP 2 Hand Tool Cleaning Removal of loose rust, loose mill scale, and loose paint, by hand chipping, scraping, sanding, and wire brushing. SSPC-SP 3 Power Tool Cleaning Removal of all loose rust, loose mill scale, and loose paint, by power tool chipping, descaling, sanding, wire brushing, and grinding. SSPC-SP 5/NACE No. 1 White Metal Blast Cleaning Removal of all visible rust, mill scale, paint, and foreign matter by blast cleaning by wheel or nozzle (dry or wet) using sand, grit or shot. For very corrosive atmospheres where high cost of cleaning is warranted. SSPC-SP 5 (WAB)/ NACE WAB1 White Metal Wet Abrasive Blast Cleaning Same level of cleanliness as SSPC-SP 5/NACE No. 1, but achieved by wet abrasive blast cleaning. Level of flash rust permissible immediately prior to coating application must be specified. SSPC-SP 6/ NACE No. 3 Commercial Blast Cleaning Removal of all visible rust, mill scale, paint, and foreign matter by blast cleaning. Staining is permitted on no more than 33% of each 9 in2 (0.005 m2 ) area of the cleaned surface. For conditions where a thoroughly cleaned surface is required. SSPC-SP 6 (WAB)/ NACE WAB3 Commercial Wet Abrasive Blast Cleaning Same level of cleanliness as SSPC-SP 6/NACE No. 3, but achieved by wet abrasive blast cleaning. Level of flash rust permissible immediately prior to coating application must be specified. SSPC-SP 7/ NACE No. 4 Brush-Off Blast Cleaning Removal of all loose contaminants while uniformly roughening the surface. Tightly adhering residues of mill scale, rust, and coatings may remain. SSPC-SP 7 (WAB)/ NACE-WAB 4 Brush-Off Wet Abrasive Blast Cleaning Same level of cleanliness as SSPC-SP 7/NACE No.4, but achieved by wet abrasive blast cleaning. Level of flash rust permissible immediately prior to coating application must be specified. SSPC-SP 10/ NACE No. 2 Near-White Blast Cleaning Removal of all visible rust, mill scale, paint, and foreign matter by blast cleaning. Staining is permitted on no more than 5% of each 9 in2 (0.005 m2 ) area of the cleaned surface. For high humidity, chemical atmosphere, marine, or other corrosive environments. SSPC-SP 10 (WAB)/ NACE WAB2 Near-White Metal Wet Abrasive Blast Cleaning Same level of cleanliness as SSPC-SP 10/NACE No. 2, but achieved by wet abrasive blast cleaning. Level of flash rust permissible immediately prior to coating application must be specified. SSPC-SP 11 Power Tool Cleaning to Bare Metal Complete removal of all visible oil, grease, coatings, rust, corrosion products mill scale, and other foreign matter by power tools, with resultant minimum surface profile of 1 mil (25.4 µm). Trace amounts of coating and corrosion products may remain in the bottom of pits if the substrate was pitted prior to cleaning. SSPC-SP 14/ NACE No. 8 Industrial Blast Cleaning Between SP 7 (brush-off) and SP 6 (commercial). The intent is to remove as much coating as possible. Tightly adhering contaminants can remain on no more than 10% of each 9 in2 (0.005 m2 ) area of the cleaned surface. SSPC-SP 14 (WAB)/ NACE WAB8 Industrial Wet Abrasive Blast Cleaning Same level of cleanliness as SSPC-SP 14/NACE No. 8, but achieved by wet abrasive blast cleaning. Level of flash rust permissible immediately prior to coating application must be specified. SSPC-SP 16 Brush-Off Blast Cleaning of Coated and Uncoated Galvanized Steel, Stainless Steels, and Non-Ferrous Metals Requirements for removing loose contaminants and coating from coated and uncoated galvanized steel, stainless steels, and non-ferrous metals. Cleaned surface is free of all visible oil, grease, dirt, dust, metal oxides (corrosion products), and other foreign matter Requires a minimum 0.75 -mil (19-µm) profile on bare metal substrate. SSPC-SP WJ-2/ NACE WJ-2 Waterjet Cleaning of Metals–Very Thorough Cleaning When viewed without magnification, the metal surface shall have a matte (dull, mottled) finish and shall be free of all visible oil, grease, dirt, rust, and other corrosion products except for randomly dispersed stains of rust and other corrosion products, tightly adherent thin coatings, and other tightly adherent foreign matter. The staining or tightly adherent matter shall be limited to no more than 5 percent of each 9 in2 (0.005 m2 ) area of the cleaned surface. SSPC-SP WJ-3/ NACE WJ-3 Waterjet Cleaning of Metals–Through Cleaning When viewed without magnification, the metal surface shall have a matte (dull, mottled) finish and shall be free of all visible oil, grease, dirt, rust, and other corrosion products except for randomly dispersed stains of rust and other corrosion products, tightly adherent thin coatings, and other tightly adherent foreign matter. The staining or tightly adherent matter shall be limited to no more than 5 percent of each 9 in2 (0.005 m2 ) area of the cleaned surface. SSPC-SP WJ-4/ NACE WJ-4 Waterjet Cleaning of Metals–Light Cleaning When viewed without magnification, the metal surface shall be free of all visible oil, grease, dirt, dust, loose mill scale, loose rust and other corrosion products, and loose coating. Any residual material shall be tightly adhered to the metal substrate and may consist of randomly dispersed stains of rust and other corrosion products or previously applied coating, tightly adherent thin coatings, and other tightly adherent foreign matter. SSPC-PA 17 Conformance to Profile/Surface Roughness/Peak Count Requirements A procedure suitable for shop or field use for determining compliance with specified profile ranges on a steel substrate. Surface preparation is just as important as the coating system selected to protect your assets. Finding the right surface preparation protocol is imperative to a establishing long-lasting, effective coating system. Start by understanding the defects with your asset and cross-checking those defects with SSPC and NACE standards. Once you have a clear picture of the issue, consult and verify your assessment with a certified professional.